We’ve already seen this week how brilliant Max can be when it comes to iRacing, now it’s time for something equally spectacular - but in a bad way. During a practice session for an F3 race at Brands Hatch, Verstappen was on a hot lap when he came across the slow-moving No.7 car of David Minton, causing him to spin. No biggie, it’s just a practice session, right? Well, yeah - but Max decided to show Minton exactly what he thought of his driving with a classic bit of public lobby-style revenge, all caught on camera by Twitch streamer MrGit. Oof! 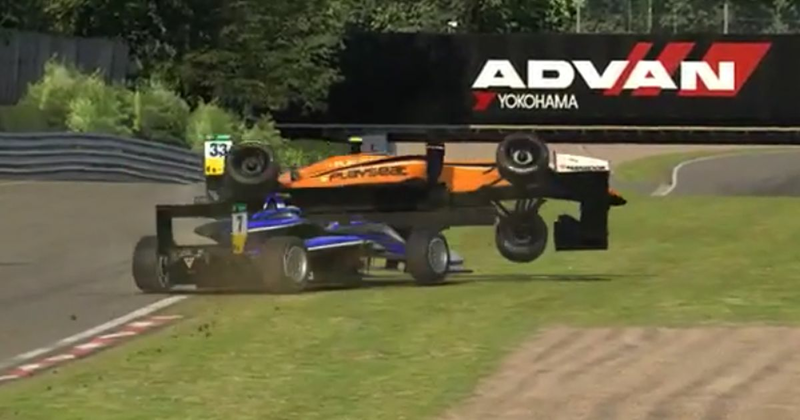 Although iRacing does have strict rules around driver conduct, given the fact this is just a practice session and seemingly a one-off incident, it’s unlikely anything will come of it. And when it comes to real-life racing drivers doing dodgy things on iRacing, a quick search reveals that Verstappen is hardly alone. Heck, last year, former Toro Rosso driver Scott Speed was banned from the service for repeatedly ramming people off in races.